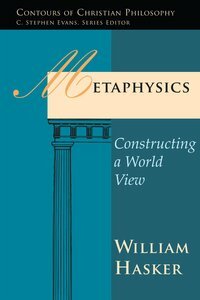 About "Metaphysics (Contours Of Christian Philosophy Series)"
William Hasker (Ph.D., University of Edinburgh) is professor emeritus of philosophy at Huntington College in Huntington, Indiana. His books include Metaphysics: Constructing a World View; God, Time, and Knowledge; Reason and Religious Belief (with Michael Peterson, David Basinger and Bruce Reichenbach); The Openness of God (with Clark Pinnock, Richard Rice, John Sanders and David Basinger); Philosophy of Religion: Selected Readings (edited with Michael Peterson, David Basinger and Bruce Reichenbach); The Emergent Self; Middle Knowledge: Theory and Applications (edited with David Basinger and Eef Dekker) and Providence, Evil and the Openness of God. Most recently Hasker has been preparing the inaugural volume in the Strategic Initiatives in Evangelical Theology series The Triumph of God Over Evil: Theodicy for a World of Suffering.